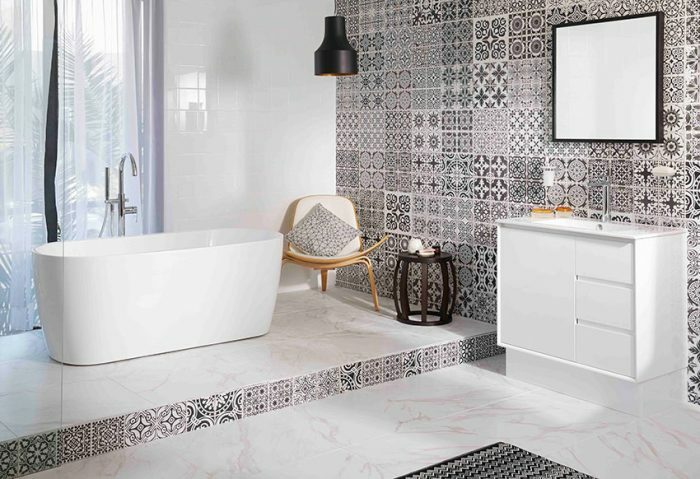 Effortlessly chic and perpetually stylish, the classic monochrome bathroom suits any style of home, acting as a base for glorious pops of colour, or to let the shades shine on their own. 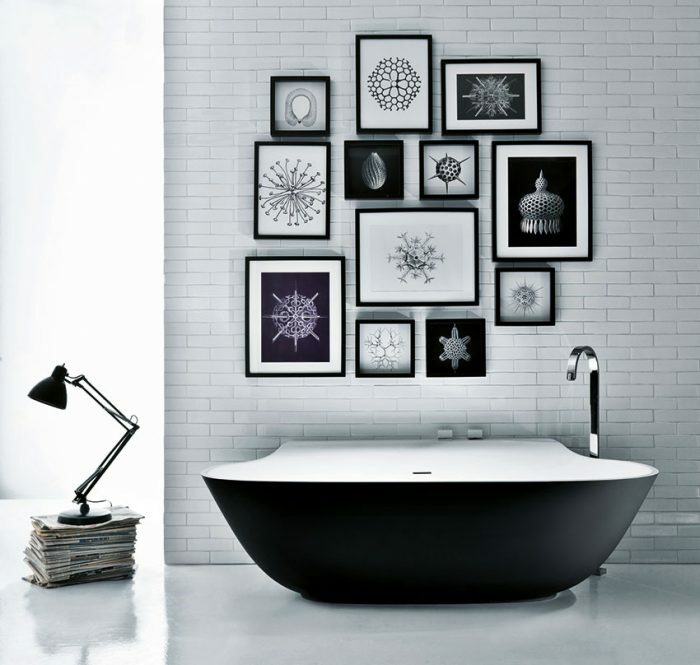 To prove to you that monochrome really works, we’ve rounded up our fave monochrome bathrooms. That’s right, black and white bathrooms are totally a thing, and we’re in love. Scroll on down for some inspiration. This monochrome bathroom in Shaun Costa’s gorgeous home is the perfect example of black and white allowing bright colours to sing. Pops of yellow and vermilion pull the room back from overwhelming, and make it outstanding instead. You can actually visit this bathroom if you spend a few nights at The Principal Madrid, one of Design Hotels’ gorgeous locales. The luxe black tiles are utterly elegant, with crisp pops of white creating a sophisticated bathroom we’d love to call our own. 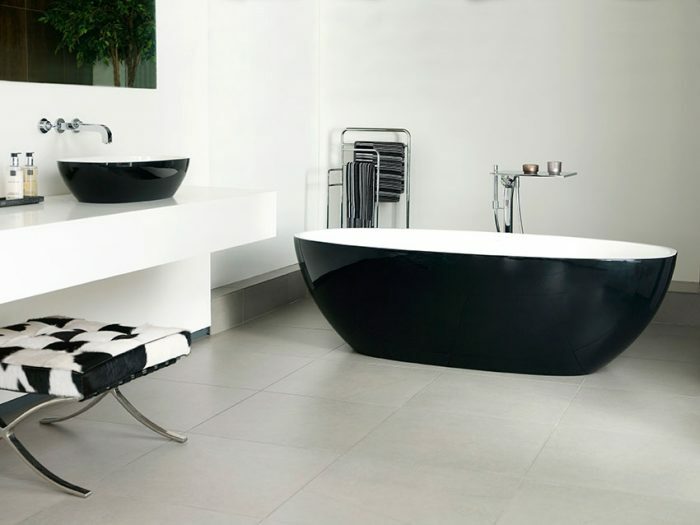 Opting for more white than black, this bathroom from Raymor is a take on fresh, light monochrome. 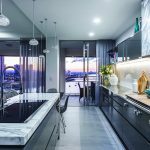 Those wall tiles add just the right amount of black for this breezy coastal-inspired space, with jet-black accessories adding a note of glamour. 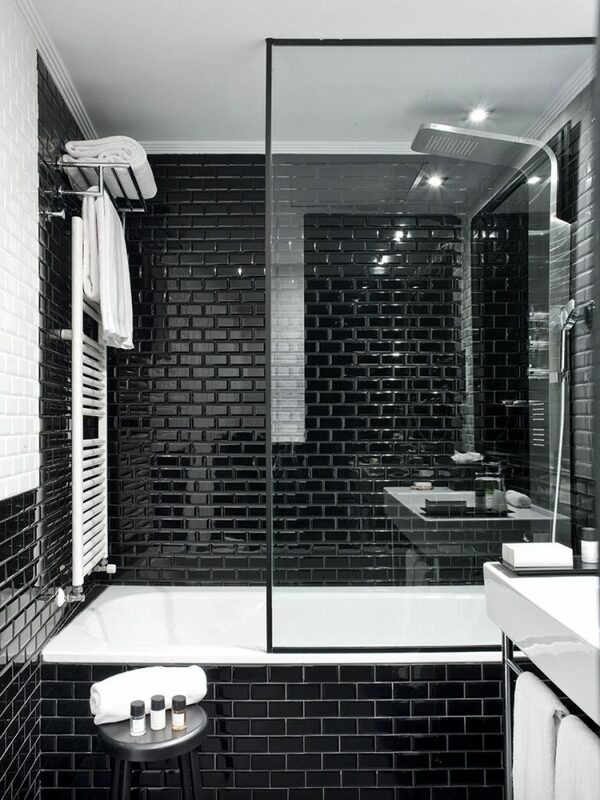 Modern and moody, this monochrome bathroom from Rogerseller is seriously luscious. 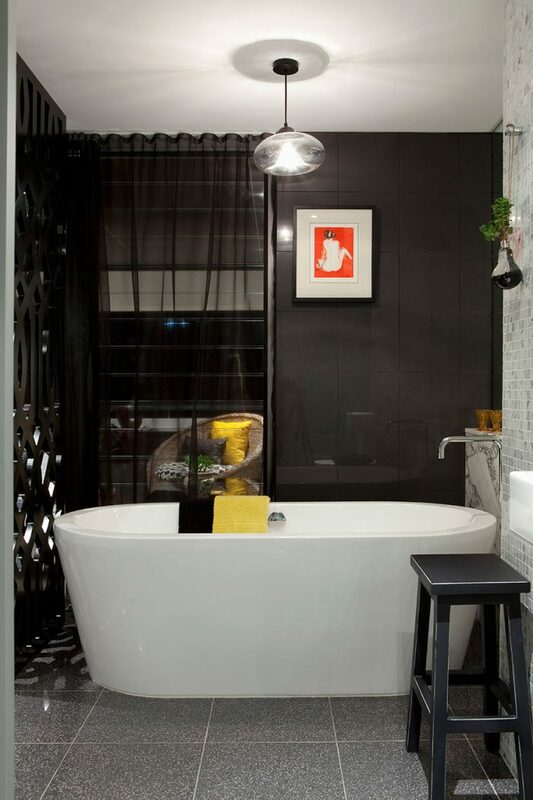 The bold black bathtub has our vote for Tub We’d Most Like To Soak In! Botany-inspired photos framed in a gallery-style arrangement keep the black and white theme travelling through the space. 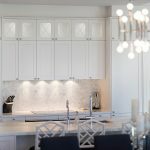 Citing the calming nature of monochrome as their inspiration behind this bathroom, theVictoria + Albert team have created a space that’s all about relaxation. A classic tub design – and, of course, the colour scheme – mean this bathroom is built to outlast all the trends that rear their pretty heads. Love.